Juicy, brimming with fruit and generally packing a satisfying punch for your peso, Bonarda is emerging from the sideline as an easy-going alternative to Argentina’s flagship red Malbec. It’s perhaps no surprise. After all, the country is awash with the variety, this being the second most widely planted grape in the country. 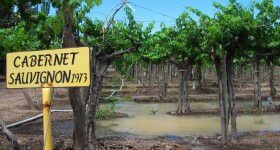 And, on the back of a seemingly insatiable thirst for Malbec in America and elsewhere, Argentina’s winemakers have woken up to the fact that ‘the next great thing’ has been slumbering along all the while in the vineyards at their back door. It’s not so much that Bonarda is some exciting new discovery. 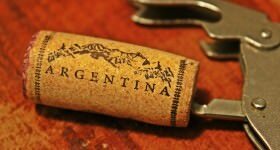 The variety has been slaking the everyday thirst of millions of Argentines for a couple of centuries ever since northern Italian migrants brought cuttings of their local Bonarda, Sangiovese and Barbera. 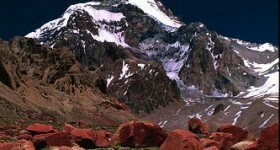 But for most of this time Bonarda – with its propensity to produce huge crops, especially under the ample Andean sun – has been considered a workhorse variety, fuelling consumption of anonymous jug wines. Times, though, are changing. 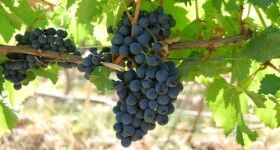 While Bonarda may not quite have the thoroughbred Bordeaux credentials of Malbec, or its noble stable mate Cabernet Sauvignon, it is no longer being looked upon as quite such a humble also ran. 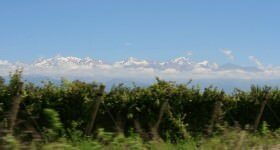 Innovative winemakers, many of them the modern day descendants of those Piemontese settlers, have been looking closely at the variety and they like what they see. 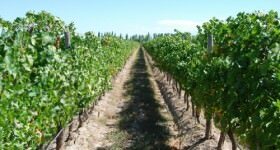 Bonarda ripens late, so its natural home is in the hotter, lower, eastern region of Mendoza, where fantastic old vines often trail up pergolas or parrals, the verdant leaf canopy keeping the ripening grapes cooler as the plant basks in the hot, relentless sun. 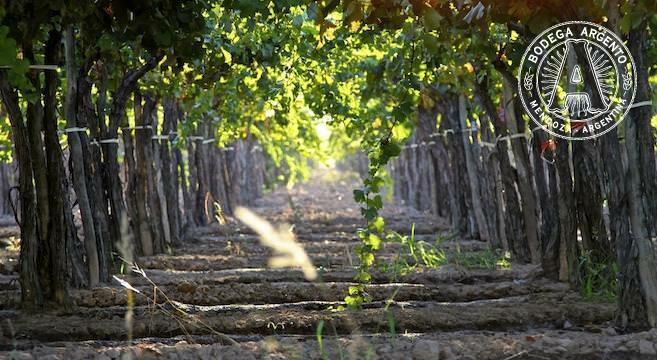 Peering through a parral vineyard. Box clever in the vineyard, though, by keeping the yields from this enthusiastic variety low, and the results can be remarkably good, which is why a fast growing number of serious-minded producers are now making great examples of this affordable and enjoyable wine. 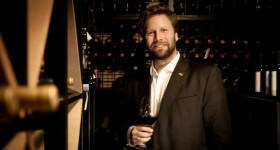 Style-wise, Bonarda also offers something of a counterpoint to Malbec. 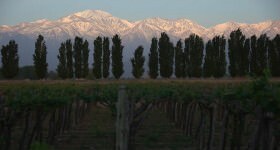 Whereas Malbec has been creeping up to ever higher, cooler altitudes in the vineyards of Mendoza and elsewhere, delivering aromatic, violet-scented, dark and brooding wines, Bonarda is an altogether more cheerful and less demanding soul. At best it offers ripe and generous red and black fruit depths capable of warming both palate and body alongside a plate of hearty food. 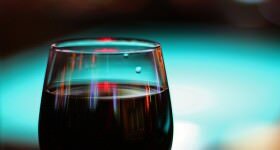 Blended with other varieties, too, it adds a juicy, rounded character to the final wine. 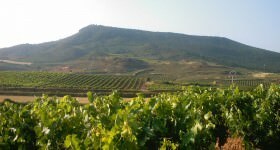 It’s why many Argentinian wine producers have added Bonarda to their range. 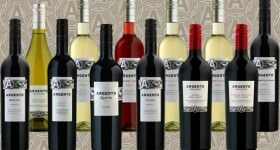 An excellent example is produced by Argento, which dispelled any lingering doubt over Bonarda’s ability to produce quality wine when Decanter wine magazine covered it in glory at last year’s World Wine Awards with an International Trophy. Argento has since added an innovative ‘BSM’, or Bonarda-Shiraz-Malbec to its range, in a playful take on the GSM blend, or Grenache-Shiraz-Mourvedre, that Australia does so well. In many ways this new generation of Bonardas has come about a complete circle, going back to its Italian roots but in Argentine fashion. Those early arrivals from Piedmont looked to their new vineyards to provide everyday drinking wines capable of slipping down a treat with the punchy flavours of Italian home cooking. 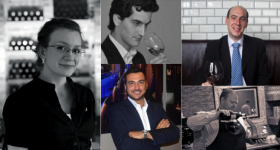 And the new generation of Bonarda is more than up to the task. At the entry level, the variety excels as a comforting companion to simpler staples such as pizza and pasta dishes. Move higher up the scale, and Bonarda can take grilled meats, game and even rustic stews in its stride. Which is why the spotlight is increasingly falling on this emerging, very Argentine style of wine. And, as a worthy companion to Malbec, it certainly deserves to be better known. I discovered Bonarda when I was in Argentina last year, and it is one of my favorites.